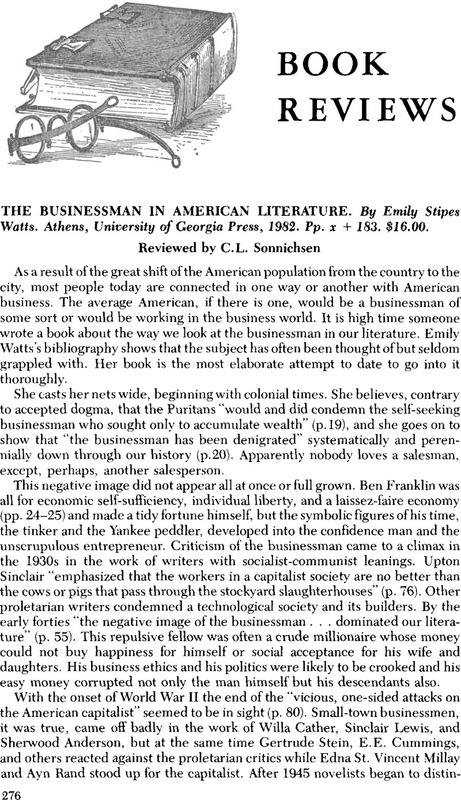 The Businessman in American Literature. By Emily Stipes Watts. Athens, University of Georgia Press, 1982. Pp. x + 183. $16.00.